The little man is a little book worm and has hundreds of books ( literally ) on a huge shelf in his room. We’ve read to him every evening since he was a baby and I think is probably one of the reasons he’s already moved onto stage 2 reading books at school. 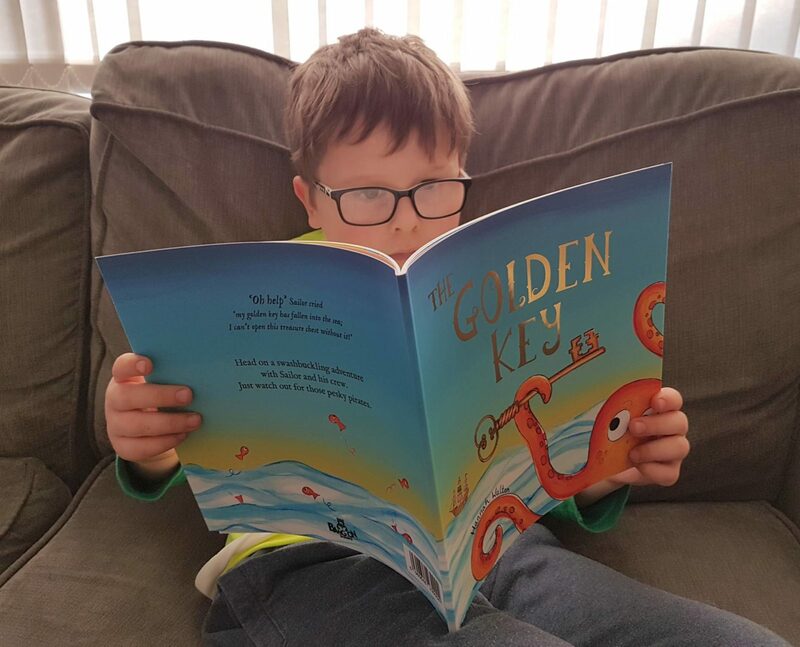 The little man loves personalised books, especially ones were his name and picture can be added so when Bang On Books got in touch and asked if we’d like to review one of their luxury, personalised children’s books, I knew he’d love it. Ordering from the Bang On Books website is very easy to navigate and ordering is easy. There are three book options available – Unicorn Oo, The Golden Key and Santa Socks. 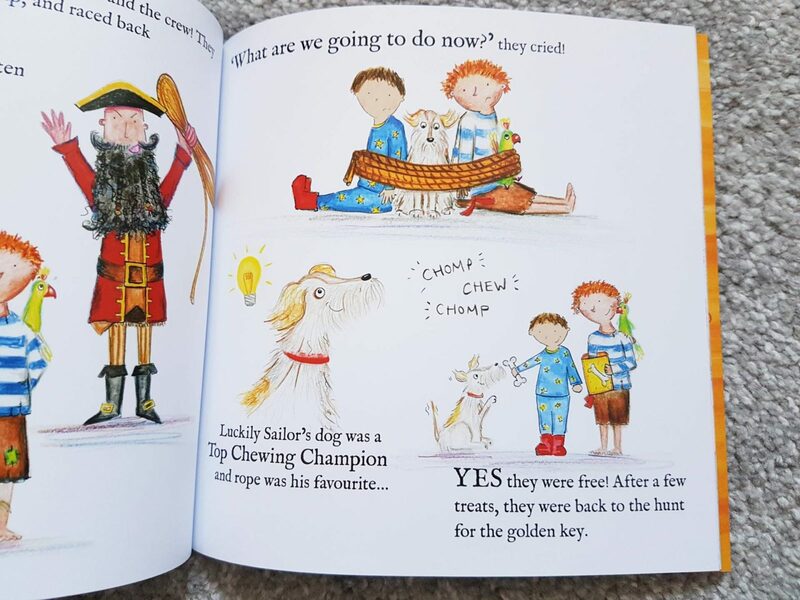 I decided that the little man would probably like The Golden Key most as the lead character heads out on a swashbuckling adventure with Sailor and his crew, Dog and Parrot. Personalising the book on the website is easy. First you need to choose a well focused photograph, I’d recommend one where your child is face on, looking towards the camera. Next, you choose the character who also represents your child, deciding on boy or girl and then a character to represent them. You can pick hair colour and skin tone but I’ll admit I was a little disappointed to see I couldn’t add glasses to the character. The little man wears glasses so it would have been nice to have a slightly more accurate looking image. Finally, you can add a special dedication to the front of the book before previewing your design. 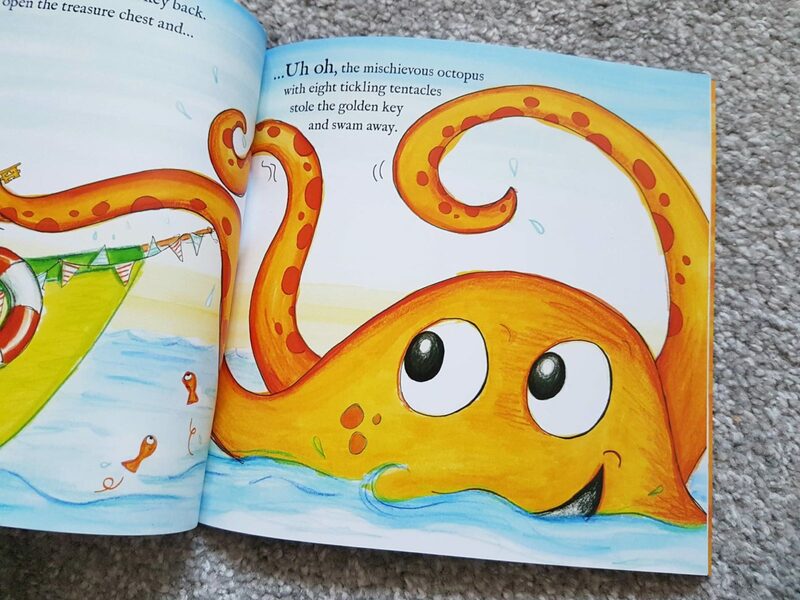 Once you’re happy with your design, you simply click through to check out and order your personalised book. I designed and placed my order on Friday 15th March and our new book arrived on Wednesday 20th March which I thought was pretty impressive. 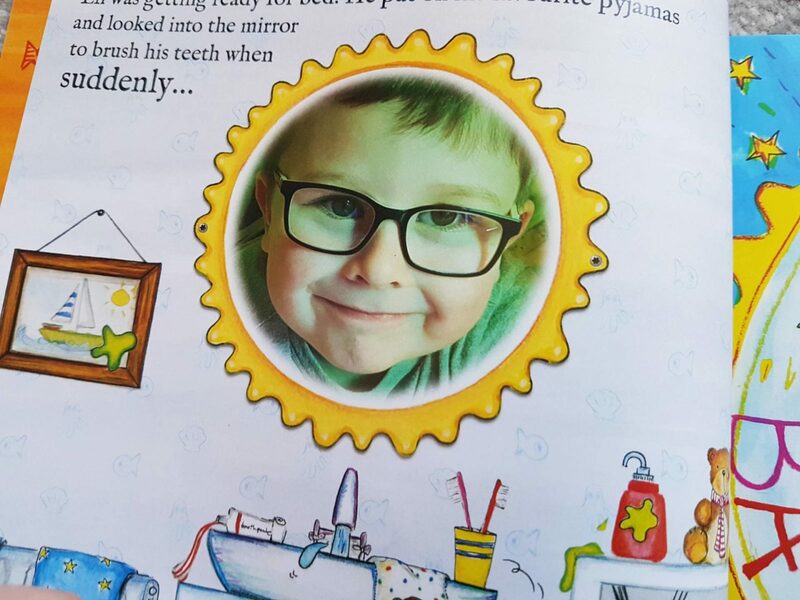 The little man was very impressed that his face was printed in the book and he didn’t seem to mind that the character representing him through the rest of the book wasn’t wearing glasses. The images in the book are bright, colourful and really well drawn and work perfectly with the story. 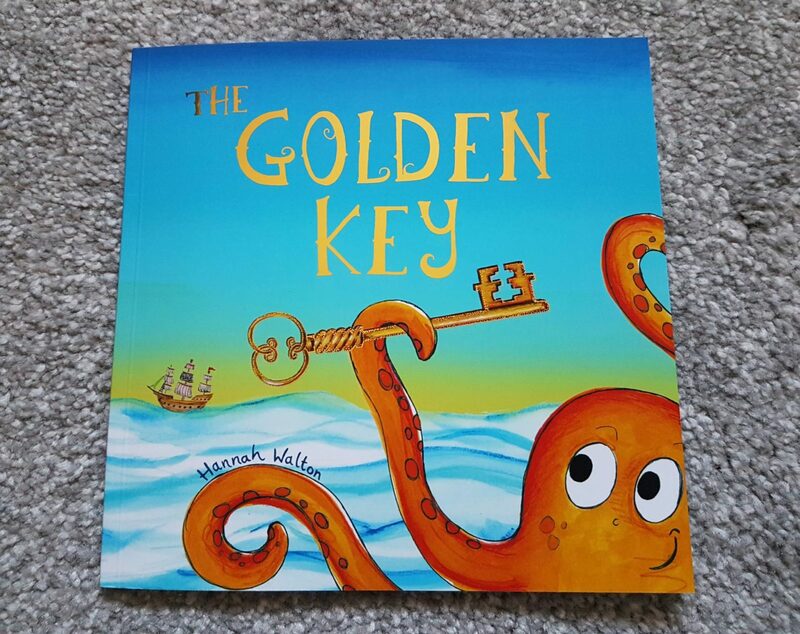 The story is about a boy who looks in the mirror before bed and is transported into a pirate adventure where he helps to find the Golden Key so that they can unlocked a treasure chest. It’s a nice simple story which is perfect for bed time reading with the little man. Overall I’m impressed with our personalised book from Bang On Books. It’s a lovely story, the images are great and it’s super easy to make. At £17.99 it’s not too badly priced and would make a lovely gift for a younger child. Bang On Books are giving one of my blog readers the chance to win their own personilsed book too. To be entered into the competition, complete the Rafflecopter form below. 1 x UK resident winner only, prize will only be posted to a UK address. Prize is provided directly by Bang On Books. By entering the competition you agree to your details being passed to the company to send your prize. The winner will be asked for address details which will only be used for dispatching the prize and then disposed of. Competition ends 10th April 2019. Winner will have 7 days to respond and accept their prize, otherwise a new prize winner will be chosen. I was sent the book in return for an honest review. 1 x UK resident winner only, prize will only be posted to a UK address and will be supplied directly by Bang On Books.